This module assists with every aspect of your account transactions billing and collections. 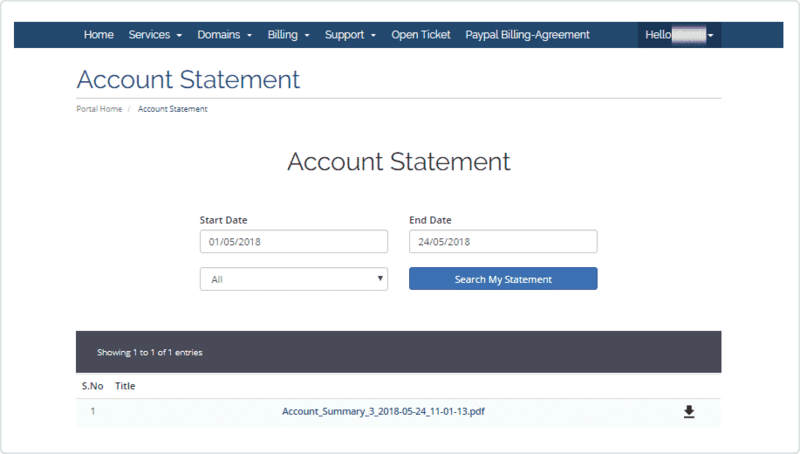 The module is geared to meet account statement requirements for hosting companies as well as any business who are managing online billing transactions using WHMCS cms. A user can use this module to automate the online billing accounts statements and that can be used for bank statement, cash daybook etc. This module sends all statements to users every month on their anniversary date. 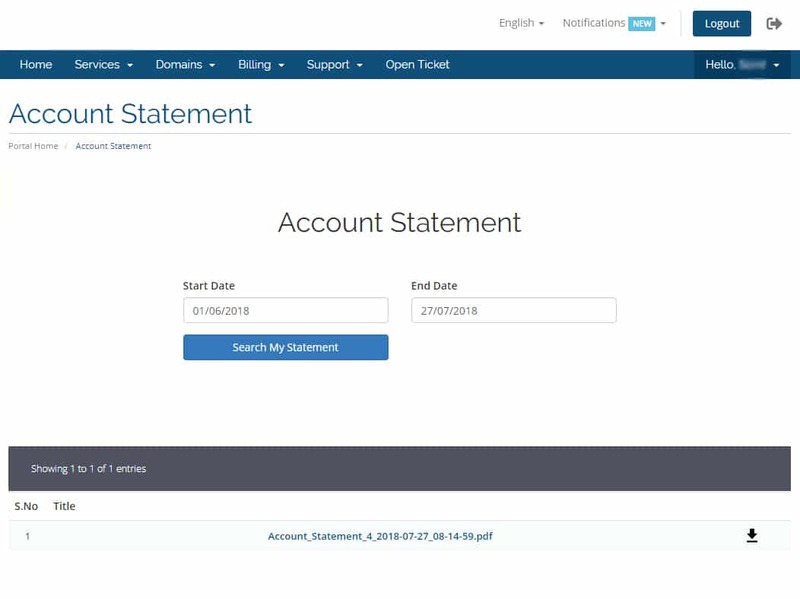 Account Statement module is a quick, convenient and environmentally friendly way to receive your statements. 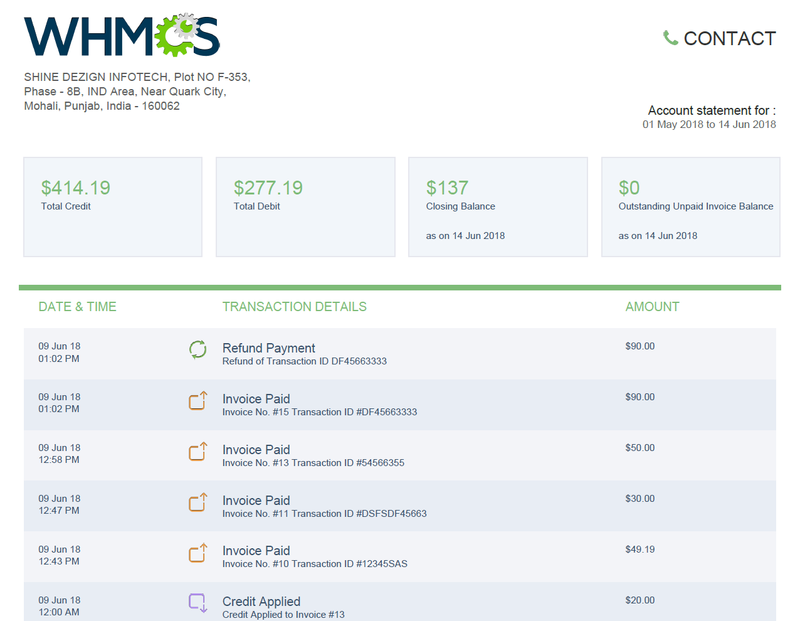 It is an electronic version of your account statements that you can easily access through WHMCS Billing System. Pdf paper size : Admin can select pdf paper format like A4 or letter format. Font family : Admin can select desired font or can upload their own font that will be displayed in pdf. 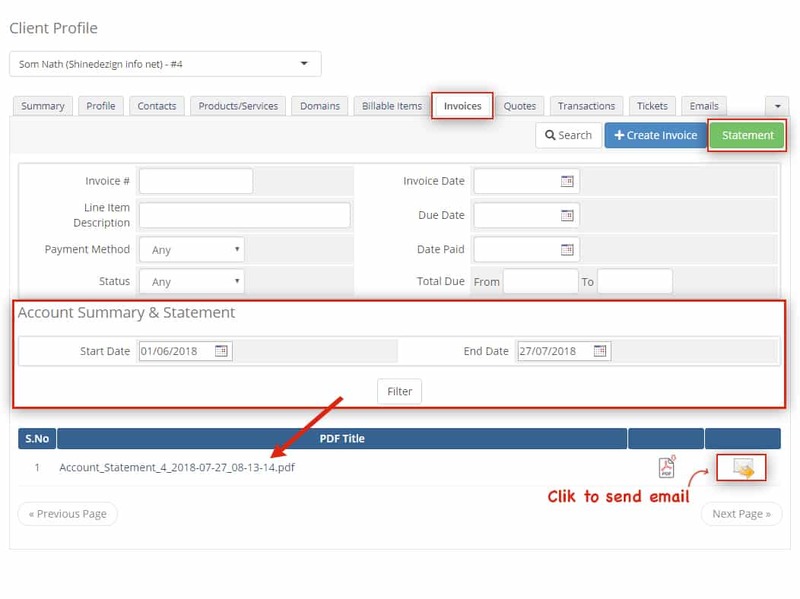 Invoice type : Admin can select whether they want to send paid/unpaid or both types of report to their customer. Features for admin to stop automatic account statements. 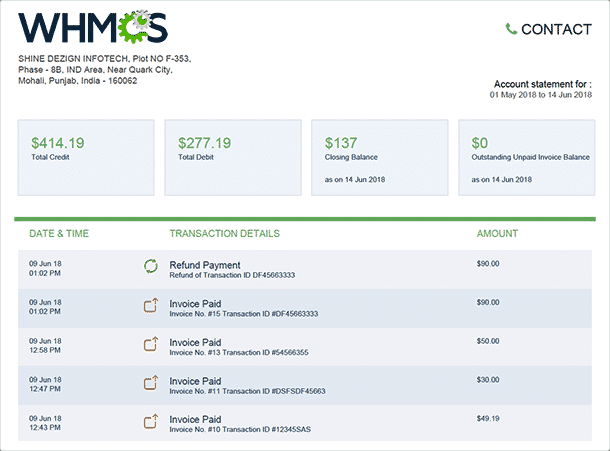 Admin can select Invoice statement cycle like monthly, quarterly, annually. Basically module works periodically, for e.g. 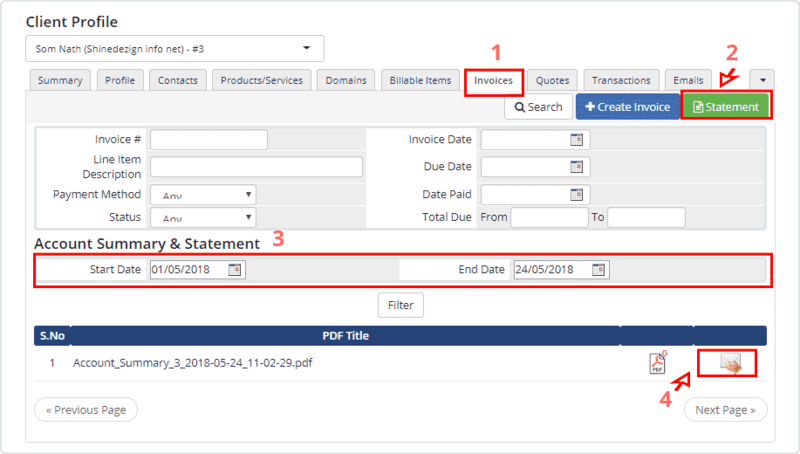 suppose, if you install the module on 18th May 2018 then it will send statement for invoice paid (if you have set invoice paid option Monthly eg. attached screenshot) between 18th April to 18th May 2018. 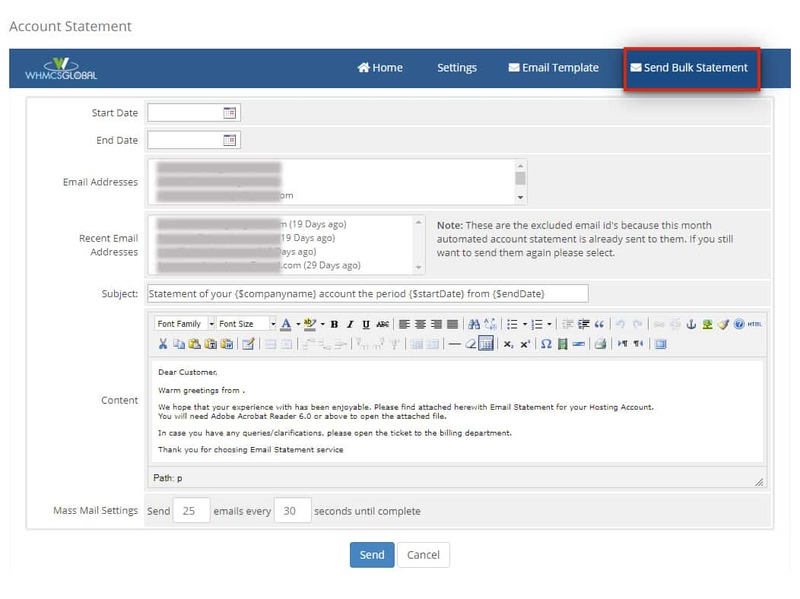 Admin can select start as well as end date range, select users list to send statement and add custom message to send to their email. There is also an option for admin regarding mass mail settings. We have an option in our module for users as well. They can login to their client area and download the desired statement anytime. 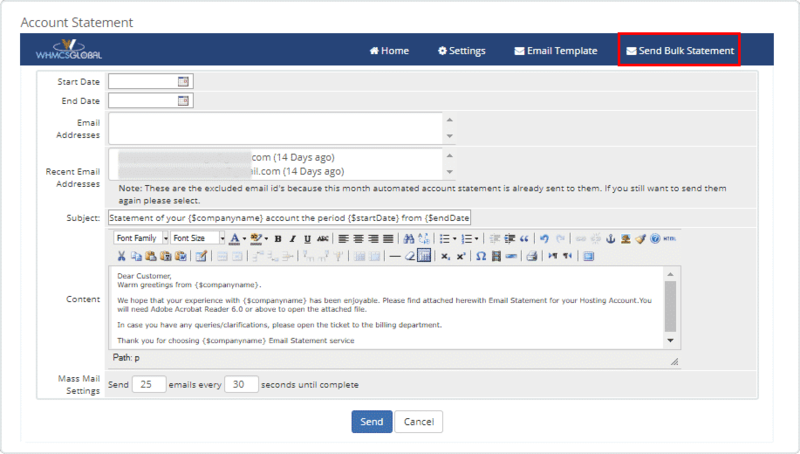 Account Statement Module provides the option to get the past / historical statements from the specified time period. 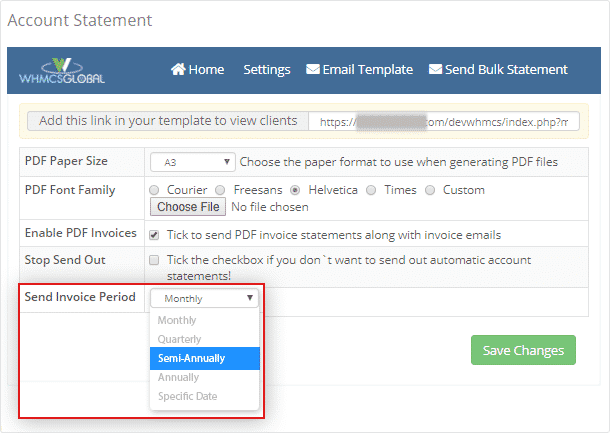 System will ask you to select two dates for which period you want to get the statement, then you can either download the statement in PDF format or can send the same via email. Fully customizable PDF file where you can change company logo, address, paper size and fonts. You will get all your invoice details with paid, unpaid transactions as per your setting. You can also generate all your historical / past billing transactions statement anytime from anywhere. No glitches, nothing to improve on this plugin just simply does what it is supposed to do. This account statement module is worth to have, admins can really feel relaxed after installing it. 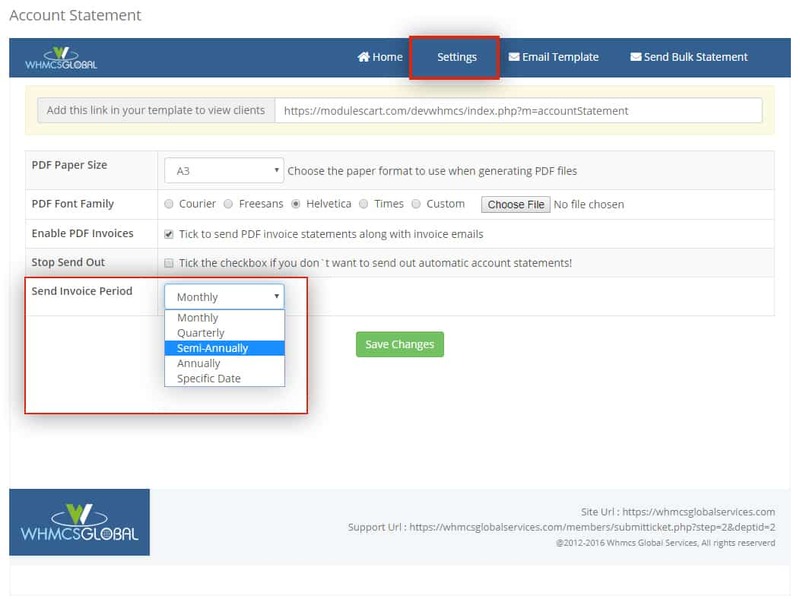 No more hassle for the admin to send manual statements. Module works perfect in my WHMCS. No issues found till now. Highly recommended!